I love homes and beautiful spaces. I always have and always will. 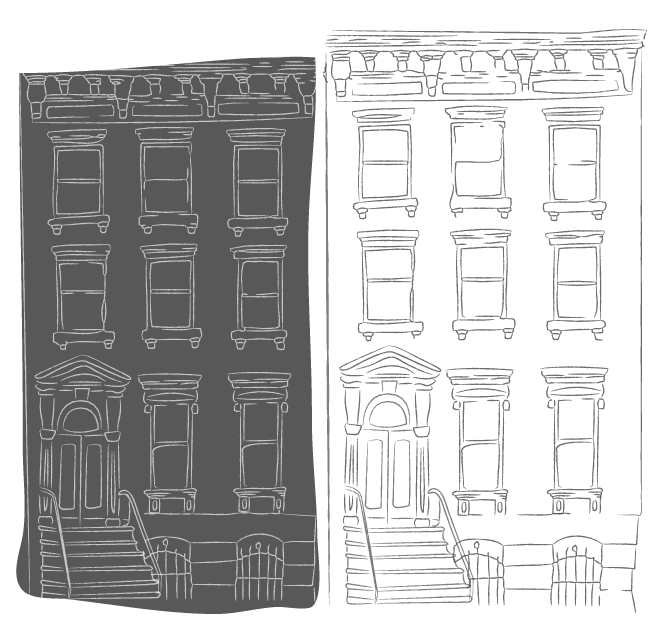 In 2015 I purchased my own home in Brooklyn, a 100 year old brownstone in need of a complete renovation. While I was excited to bring new life into the house by resorting many original details and updating the kitchen and baths, I quickly learned navigating the NYC world of residential construction can be daunting. I learned a lot of it the hard way (I kept a blog about it which you can read here). All the while I was asking myself why does it have to be this way? Ultimately I found the answer is that it doesn't. The key is finding the right team of people from the beginning. The design and construction phase go hand in hand and that is how they should be approached. Once my home was near completion friends and acquaintances started asking me for help with their renovations. I began doing kitchen layouts, design boards, and materials selection for them as well as project managing the entire construction process from beginning to end. And just like that I found myself blessed to be doing the thing I love the most. With a degree in chemical engineering and a professional background in product design and manufacturing the way we do things is a little different. We value technical execution as much as great design. Your space can be both beautiful and functional. And above all else we love to make a house a home.